Bright silver cadmium plated cylinders and high strength 7/8" Nitro Steel shafts that are chip and rust resistant. 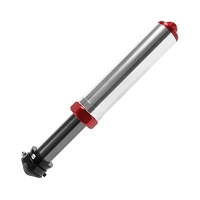 All 2.5 air shocks come with a tubular 1 5/8" Nitro Steel shafts. All shock cylinders except the air, bottom mount piggyback, and bypass shocks are threaded for both single & dual rate applications, and use standard 3" I.D. coil springs. 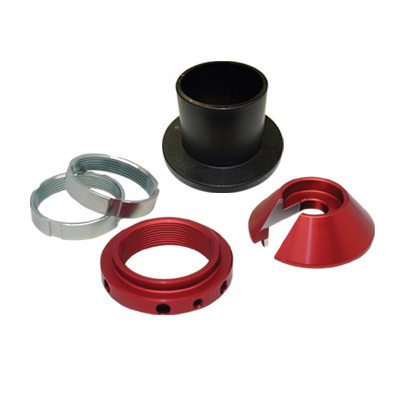 Coil over kits can be added for coil spring applications. 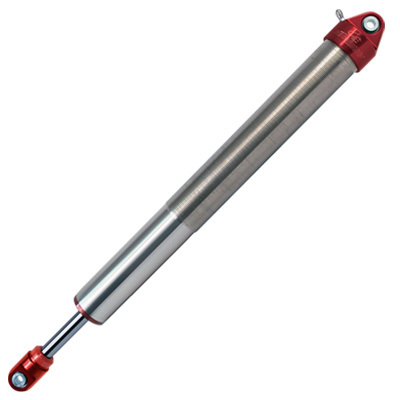 Shocks come standard with high strength Com 10 Teflon lined steel spherical bearings on each end with 304 stainless spacers. 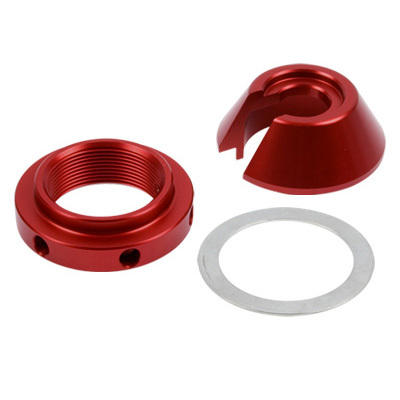 All aluminum parts are red anodized. Standard nitrogen pressure is 200 PSI for all shocks except the air shocks. 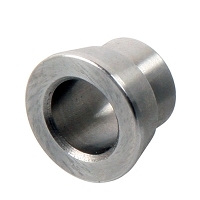 Spacers are 1.25 wide in the ends and use 1/2" bolts. 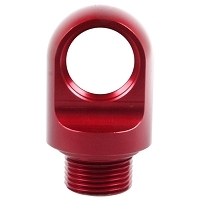 Sway-A-Way's 2.5" Smooth Body Bottom Mount Piggyback Shock utilize an innovative design which allows the shock body to swivel 360* for ease of installation. Taking the reservoir off the bottom of the cylinder provides that all of the oil must pass through the piston as it travels in the cylinder. This provides for more control and better performance.